Prepare the green sauce by heating the butter in a large skillet. Add 1 clove of chopped garlic. Sprinkle the flour over the melted butter, then quickly whisk in the milk and 1/2 tsp salt, keeping the stove turned to medium heat. Add the spinach and basil, then stir just until the mixture is thickened. 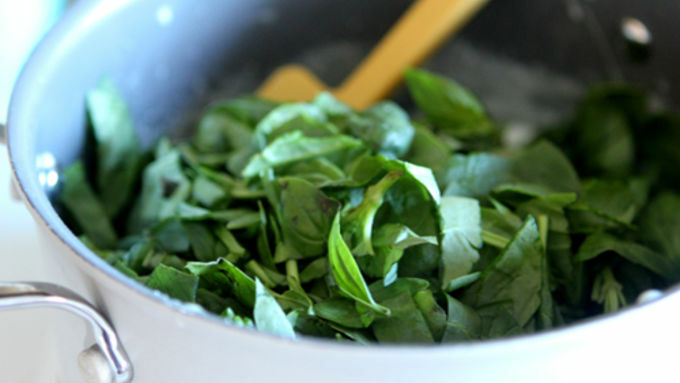 Transfer to a blender and blend just until the spinach and basil is finely chopped. In a large pot, cook the sausage over medium heat until well cooked. Add the second clove of garlic (finely chopped) while the sausage cooks. 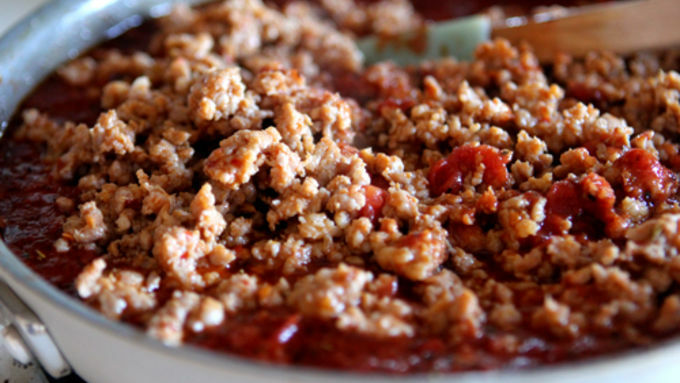 Add the Muir Glen™ crushed tomatoes, Italian Seasoning, salt, brown sugar, onion powder, and chili powder. Stir together well. Spray the bottom of a deep-sided 9x9 inch dish with nonstick cooking spray. Place three lasagna noodles on top of the spray, spread a little less than half of the red sauce on top. Sprinkle with 1 cup of cheese. Add more noodles on top of the cheese, then pour your green sauce on top of the noodles. Add three more noodles on top of the green sauce. 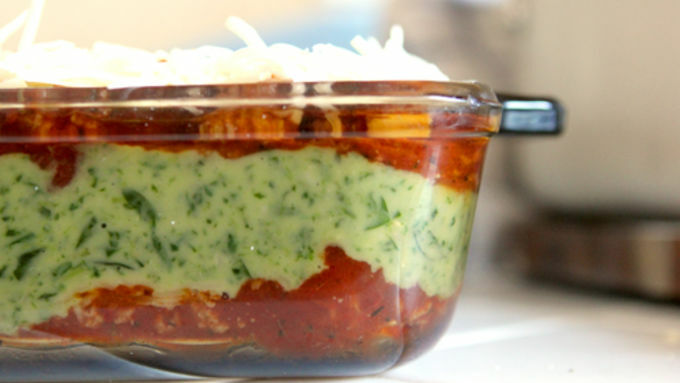 Spread more red sauce over the noodles, leaving about a cup of the sauce to place on top of your lasagna. Sprinkle a cup of cheese over your sauce. Add a final layer of noodles, a thin layer of the remaining red sauce, then the rest of the cheese. Bake in an oven preheated to 350°F for 35-40 minutes, or until the lasagna is bubbling around the edges, and the cheese is lightly brown around the top. 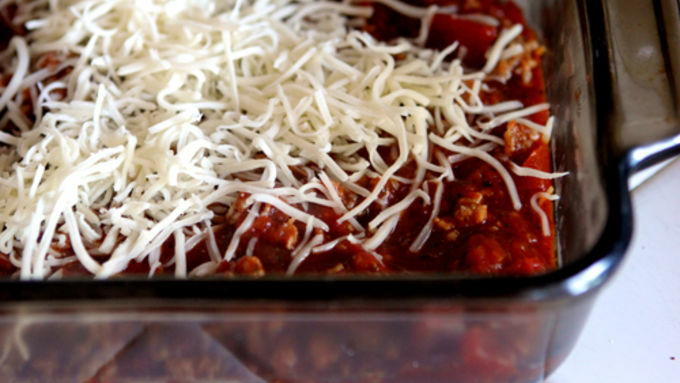 Allow lasagna to cool for 20 minutes before slicing into it and serving it up! Lay out those pretty plates, set out those forks. This is one holiday dinner everyone will want to dig right into! Who says you've gotta serve up a holiday ham for Christmas? 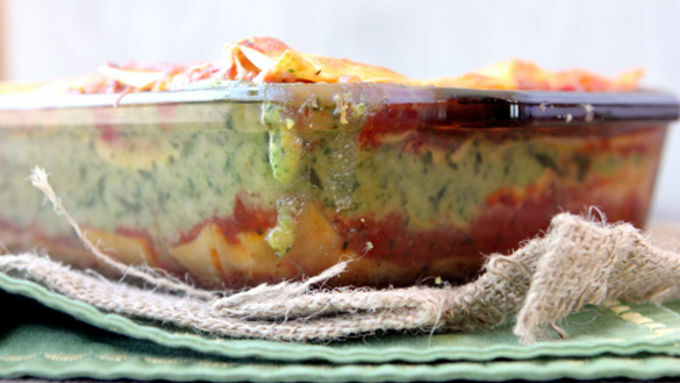 Save yourself some of the pennies and dimes that you'd spend on a hunk of pork, and bake up a batch of this beautiful red and green Holiday Lasagna, made with fresh spinach and basil and loads of pure yumminess. 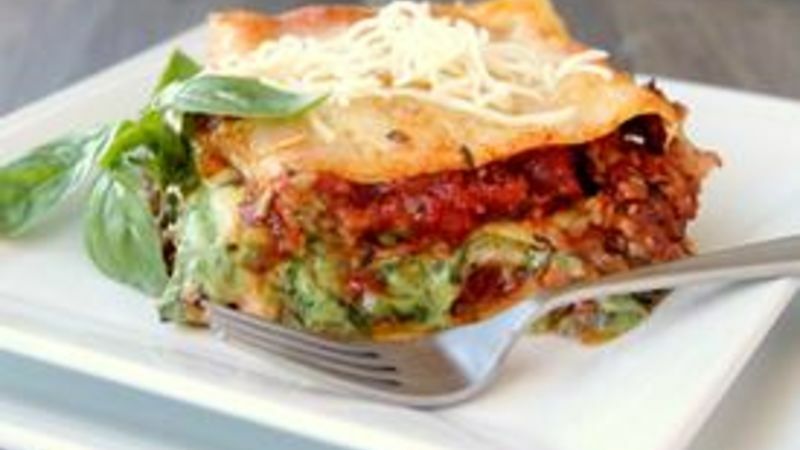 Here's how you can get your kitchen singing the Christmas carols in Italian by making a pan of this splendid lasagna. Deck the halls. Or is that bowls? Oh heck, just grab someone and have them stand under your lasagna pan. This is better than mistletoe. It's got garlic, duh. Bake your lasagna until it's bubbling around the edges and a nice, golden brown on top. Let your lasagna cool a bit to ensure nice, even slices that stack up as pretty as a pack of presents. More Italian Meals to Love at the Holidays You'll Fa-La-La-La-Love these holiday Italian recipes.